Humans have always placed animals in major roles in our society. The Ancient Egyptians have a fondness for cats bordering on the religious, while in India, cows and other kinds of cattle are sacred too. 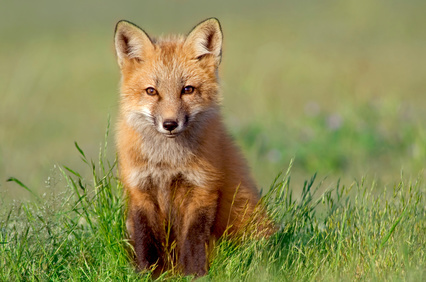 But in all countries inhabited by foxes, these animals occupy special places and played major parts in the local’s traditions and folklore. To the uninitiated, foxes belong to the “cannid” family, the same family which includes dogs, wolves, and coyotes. All members of this family are intelligent and incredibly adaptable animals, and this makes them successful colonizers in many areas of the world. While most people believe that foxes are solitary animals, in fact, all foxes live in social groups. They do travel and hunt on their own, but as a group, they maintain distinct territories. Each territory is kept by one family group – a dog fox, a vixen and their cubs, and in general, these set up is for life. If there is a good food supply though, the family group could expand to include a few other adults. These additional animals (sometimes called “helpers”) are subordinate to the dominant male and female foxes. Nevertheless, only one vixen will produce cubs for the group. As for food, foxes are not picky. They eat anything from earthworms, crabs, and even fruits. Their survival instincts also make them bury excess prey to eat when the food supply is short. You could tell that it is a sign of being smart. And for being smart, foxes have been part of popular human culture since the beginning of time. Humans in all of history associated foxes with cunning and wisdom, and although not always described in a positive light, common to all stories are the admiration and respect for the fox and its abilities. As ancient Peru’s Moche mind-fighting warrior, Africa’s Dogon trickster god, early Mesopotamian’s heavenly messenger, the Chinese’, Japanese’ and Koreans’ powerful spirits, foxes have thrived in both art and folklore. The Germans said that “what the lion cannot manage to do, the fox can”. The great military conqueror and French Emperor Napoleon Bonaparte mirrored, “I am sometimes a fox and sometimes a lion. The whole secret lies in knowing when to be the one or the other”. And we dare say they deserve it – a fox’s clever nature makes it a master of camouflage. For example, when hunted by hunting dogs and/ or hounds, the fox will double back on its own trail, running around in circles, just to break the scent and put off the hunting party. It also has the amazing ability to meld into the background, allowing it to quietly observe the situation around it, and oftentimes using this ability to get out of tricky situations. Like the fox, our company prides itself in assessing situations clearly, in knowing what takes place behind the scene. We put extra care on how we handle client information, while using our professional judgment in maximizing advantages beneficial to our clients. With our unique vantage point, we promise to approach things as efficiently and effectively as we can.